There have been plenty of thrillers in recent years that use the conflicts in the Middle East as a setting and jumping off point. And for thriller authors there is plenty of material to draw on: a volatile situation, plenty of excuse for violence and action and often a grey moral zone in which characters operate. The Girl in Green at first blush, seems like one of these. But while it cloaks itself in the trappings of a thriller, author Derek B. Miller has serious concerns. The Girl in Green opens in Iraq at the end of the first Gulf War, also known as Operation Desert Storm. An American company is set up at Checkpoint Zulu, on the outskirts of an Iraqi town and close to the Kuwaiti border. When Saddam’s death squads arrive to slaughter the inhabitants of the nearby town in order to quell a nascent uprising, the troops are ordered not to interfere. This approach, and its consequences, will haunt two men, one a young soldier, Arwood Hobbes, and the other an English journalist, Thomas Benton, so that over twenty years later they are still trying to make amends. The bulk of the novel is set in 2013 on the Iraq/Syria border. The security situation in Syria is deteriorating, and streams of refugees are coming into Iraq where things are not much better and the world is starting to see the rise of extremist groups like ISIL. Hobbes brings a now ageing Benton back into this zone to hunt for a ghost – a girl in a green dress who looks like the girl they saw killed back in 1991. Being Northern Iraq in 2013, nothing goes according to plan. Miller has an engaging, almost surreal style in his approach to this material. The first section of the book has both direct oblique references to children’s classics such as Doctor Seuss and Winnie-the-Pooh. At one point Benton’s daughter tours the refugee camp that he has come to through skype as a disembodied head on a stick. Hobbes himself adopts a surreal approach in the way he talks and approaches situations. These aspects of the narrative help to make the painful more palatable. Because there is plenty of pain and desperation in the world that Miller explores. 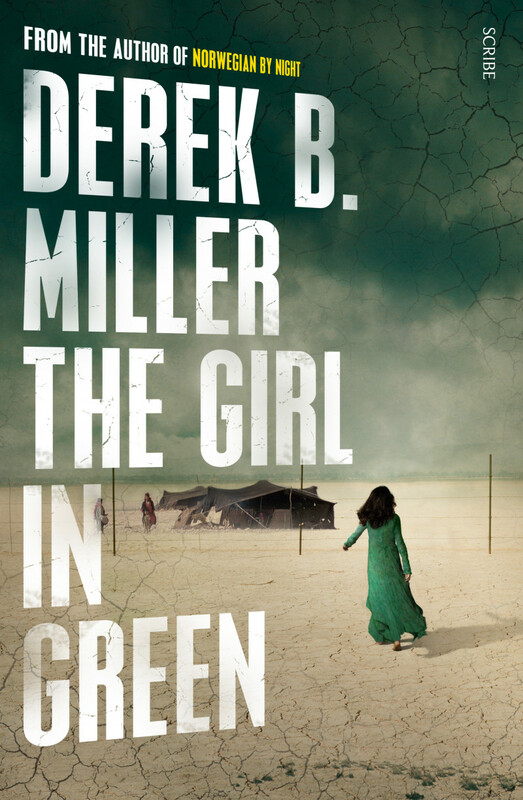 The Girl in Green takes what is clearly Miller’s life work (including his and others’ PhD theses) and explores the issues using some thriller conventions. It exposes the role of the West in misunderstanding and fuelling the conflicts in Iraq and Syria and examines the influence and limitations of the aid agencies, desperately trying to salvage something from the situation. From 1991, when the American forces stood back and watched Saddam’s forces massacre their own civilians, to the present day where the world stands by as refugee camps grow, groups like ISIL are flourishing and local people need to battle for or flee their homes in places like Mosul. The book was written and firmly set in 2013. Miller claims in his Acknowledgements that it was not written to chase headlines: it preceded them. But even he admits that he underestimated the rise of groups like ISIL. That Miller manages to convey a complex situation through characters that readers care about and in a way that entertains as it informs is a credit to him. The Girl in Green is not only a page turner, it is an important novel that tries to convey not only the drivers of the headlines but also the situation that remains when the news cycle moves on.